Fabricated from tough yet tactile satin chrome and sold in pairs, these round-rose door handles are a delight to behold. Choose from Indiana, Colorado and Texas, each a little larger and bolder than the last, to complete your chosen door, imbuing it with a deeply modern yet contrastingly classic look and feel. From XL Joinery’s celebrated Dowelled Engineered Hardwood Collection, this imposing door is available while stocks last and demand is currently running higher than ever. The external door is formed from solid oak and features mortice and tenon locking systems for ultimate security. Glazed with a slim, central panel of antique-style feature glass, this solid piece of quality furniture is built to last. Fed up with struggling into and out of your loft space? 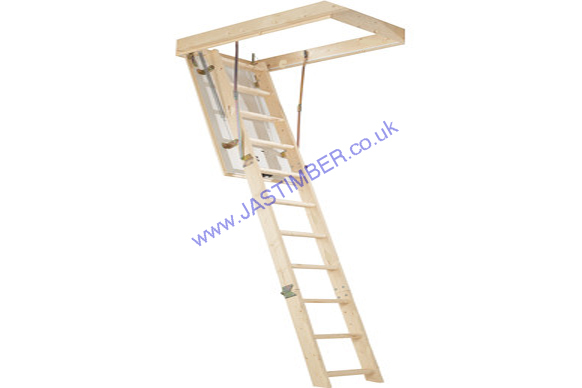 Quickly, easily and efficiently solve the problem with the Atrium Loft ladder - built from carefully-selected beech, this market-leading product will facilitate every climb and descent with strength and safety. Designed for separating the sliding sashes of timber sash windows, this pine parting bead is skillfully machined by Cheshire Mouldings from the finest Scandinavian pine, which has been PEFC-certified. This product can also be successfully used to provide an effective doorstop for small cabinet doors. These are just some of the price-busting bargains that you can currently find on the JAS Timber website in our ‘July Specials’ section. Make sure you are subscribed to our regular newsletter to be among the first to find out what products we will be discounting for August 2015! Need support and advice when choosing from our exclusive range of timber supplies? Call the skilled, competent and friendly JAS Timber team today.